There is just no place like New York City. If you are planning to visit NYC, you are going to have the trip of a lifetime. 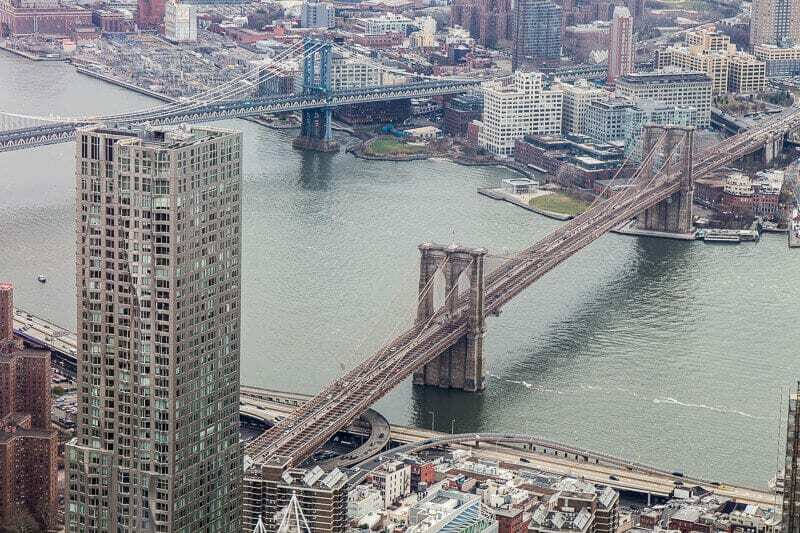 We’ve created these New York travel tips to help you save money and maximize your time. There are endless attractions in New York, as well as great neighborhoods to explore, incredible food, and great coffee. Just wandering the streets and soaking up the atmosphere can be very memorable. New York can be expensive, but there are plenty of ways you can visit New York on a budget and reduce your travel costs. We’re happy to share some NYC travel tips below based upon extended travel in the city. How did I mess up? Always check your refund policies! It’s important to do a lot of research and have a good plan of action in place before you visit New York. There is just too much to do and see in NYC. You’ll waste a lot of time and money if you are not prepared. Plan out what it is you want to see and do – your absolute must not misses – so you can find the best deals and organize your schedule so you do not waste time moving around the city. We’re visiting NYC with my parents in May for five days and, even though we’ve been before and was quite unplanned, we are planning our trip to New York already. Our time will be short with my parents and, as it’s probably their one and only time in New York, we want to make it amazing and not waste time and money. Make sure you monitor the weather and have a plan for whether it is rainy or snowing. You may need to shuffle a few things around on your schedule. Visiting one or two areas of New York each day will save you money on subways, taxis and time moving from one end of Manhattan to the other. Some of your cheaper, and more memorable experiences will be getting away from the tourist traps and exploring the smaller, local neighborhoods, like wandering the streets of Greenwich village or popping over to Brooklyn for the day. Prospect Park is almost as big and exciting as Central Park, and you have plenty of local cafes and cool stores to discover. Each neighborhood or region has so much to explore and discover and you might struggle trying to choose a favourite. Christmas in New York is magical. So far, I think it’s the best place in the world to experience Christmas. However, the crowds are maddening. I realized just how bad it was when I visited New York again at the end of January and it felt like a ghost town. If you visit NYC during the slower tourist months you will save money and a lot of time. 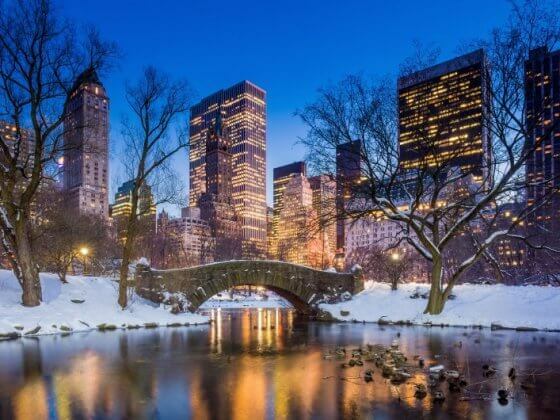 The winter months (Jan – March) and late summer (July – August) are the least crazy times (and cheaper) times to visit New York. I think the period between Thanksgiving and New Years Eve is the worst time to visit. I’ll be back in New York in March and May so will report back on my personal experience. This is one of my favorite travel tips for making the most out of your travel experience. Waking up early allows you to watch the destination wake up, which is a wonderfully rich cultural experience. It’s a divine experience wherever you are. One of my most memorable experiences road tripping around Australia was watching the Billabong wake up in Kakadu National Park. It went from eerie golden silence to a flurry of activity from the bird life and snapping crocodiles. You can have the same energetic experience in the urban wilds as well. New York is so painfully busy and crowded that you’ll relish being up early and having some of the streets to yourself. Plus, the added benefit is you will be the first in line when the New York attractions open. We walked straight into the One World Observatory when it opened and when we left over an hour later there was a big queue. You won’t regret this NYC travel tip! As mentioned above, get up early so you can be first in the queue. 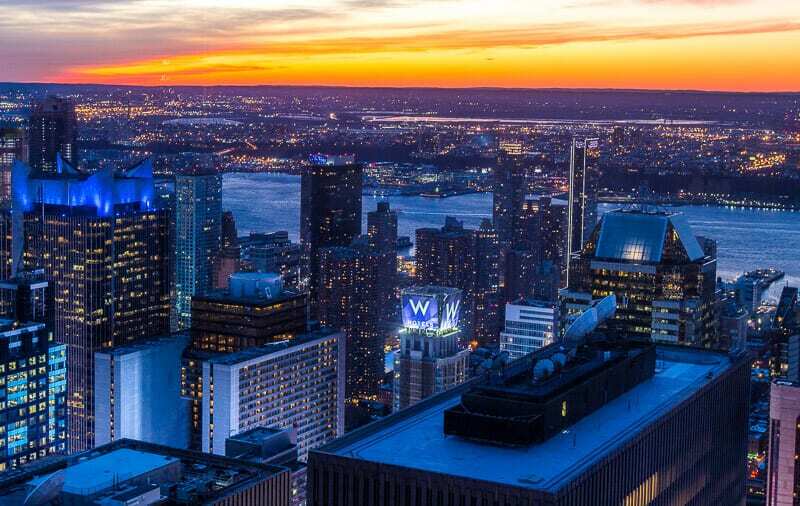 Some of the NYC rooftop attractions may be better at sunset, like Top of the Rock. Be warned, this will also be the busy time so plan to arrive earlier so you don’t miss it. Craig got caught up in the line and only got to see the after sunset effects. Still great, but not the entire experience he was lining up for. 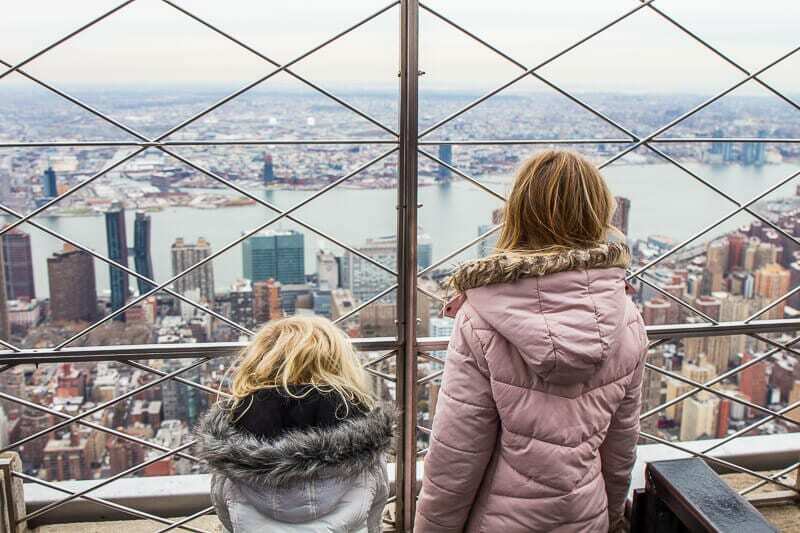 Some attractions, like Top of the Rock, require you booking in a time for your arrival. This is one way they control the crowds. So be sure to research the NYC attraction you plan to visit so you know if you have to do this. Careful research and planning will help you save time and money. You can buy a skip the line pass to book your time here. Take in the view with a drink rather than an expensive ticket up to the viewing platforms. For example, you can go to Bar SixtyFive, on the 65th floor of 30 Rockefeller Plaza and get almost the same views, swapping the $34 entry fee with a $19 cocktail. Check the website in case of special events and dress code – smart dress is preferred. Check the NYC attractions to see if it is required to print tickets if you pre-book online. We got caught out with this for the 911 Memorial and Museum, which I found annoying. I paid $6 in online booking fees so I could pre-book our entry time for first thing in the morning to beat the queues. I was told to pick up the tickets from will call as I did not have an accessible printer. I thought there would be a separate booth for will call tickets No. I had to line up on the general queue for 20 minutes with people who hadn’t bought their tickets yet. It was a complete waste of time and money. I’m baffled as to why they do it that way. What’s the point in buying them online? Email tickets work wonderfully in 2018. Carefully consider doing the bus tours of New York. We did an evening tour, which was part of our Sightseeing Pass. It was freezing cold and the traffic was horrible, so I didn’t feel it was the best experience. It may be better in the warmer and quieter months as it does give an good overview of the city and you hear a few cool local cultural and historical stories. If you have time, and a sightseeing pass, and you can pick a time when the traffic isn’t bad (good luck) it may be a good experience. Otherwise I’d opt for walking tours instead. That way you get the local stories and history lessons but you’re not dealing with the traffic. You can join free walking tours of New York led by locals. The two most well known are Big Apple Greeters and Free Tours by Foot. They are popular so be sure to book your spot in advance. This was one of the most popular New York tips given to us by our community. Check the websites of museums you plan to visit and see whether they offer any free or reduced-price admission days. For example, the Museum of Modern Art is free every Friday between 4 and 8 p.m. Some museums also offer coupons or discounts on their websites. And some are donation – i.e. pay what you want. You also get them included (many of them) in the Sightseeing Pass. Skip the touristy (and pricey) harbor cruises and take the Staten Island Ferry instead for fantastic views of New York Harbor — it’s free! The free ferry runs between Whitehall and Staten Island. 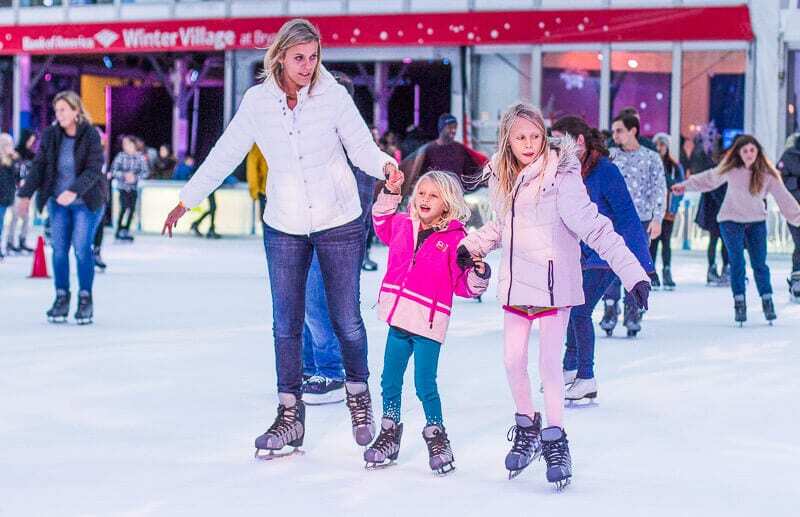 If you have your own ice skates (because of course you pack them in your luggage), Bryant Park is free and the best place to ice skate. In the warmer months, Bryant Park as an outdoor cinema and cool outdoor bars. It’s my favorite space in New York and my favorite New York travel tip for you! There are plenty of free concerts etc. in the warmer months so do a quick google search to find them. The Bronx Zoo is free on Wednesdays. It’s also included in the Sightseeing Pass. If you plan on seeing a lot of the New York attractions, then the New York Sightseeing Pass is a must. It will definitely save you money and can get you through some of those hectic queues with some fast passes. We wrote an in-depth post with all the tips on how to get the most value of the Sightseeing pass here. We are visiting New York with my parents in May and the sightseeing pass is the first strategy on our list to travel to New York on a budget. The New York Subway is so easy to use. It pretty much follows the grid lines of the streets above. While I recommend walking around New York to take in the sights, it’s good to use the subway as well. It’s an efficient and cheap way to get around. If you are staying in New York for a few days and intend on using the subway a lot, it’s worth your money to get a 7 day unlimited pass. It will cost you $32. So if you think you’ll use the subway more than 11 times, the unlimited pass is for you. You can even use it on the buses. Savannah (6yrs old) didn’t need a subway pass, apparently it goes by size not age. 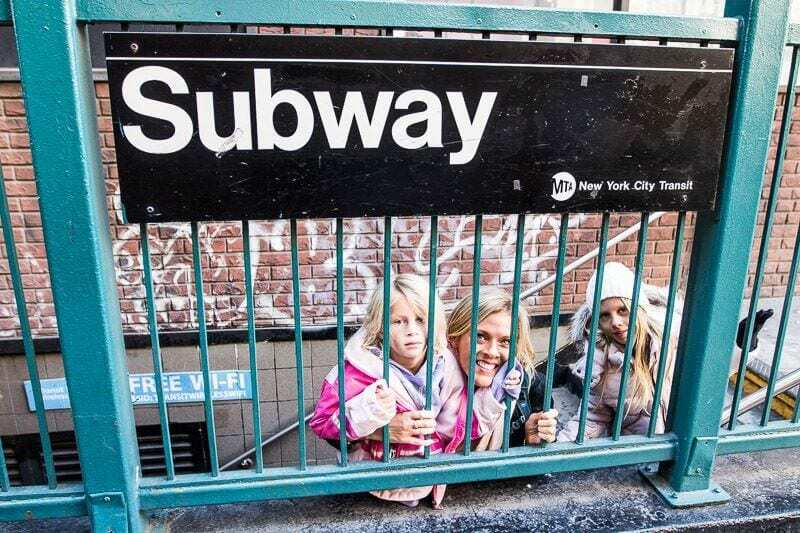 If they can fit under the turnstile they won’t need a subway ticket. Know whether your stop is a local stop. Express trains will skip about half the stops. If your stop is an express station then jump on it as the local trains take double the time. We messed up with this a couple of times and had to jump off and go backwards or change trains which cost us a lot of time. Thankfully we had that weekly unlimited rides pass. Before you go down into the subway check that you are on the right side of the street. The entrances are determined by whether you are going uptown or downtown, or east or west. There are only a few stations where you go underground and then move to the right platform Most are on separate sides of the street. I found using Google maps for directions was super helpful as it told me what station exit to take to navigate to my final destination. Some subway stations have multiple exits which can take you far from where you want to go if you get out at the wrong exit. The trains are well-marked and surprisingly fast. They will usually be quicker than taking a car, especially in peak hour traffic times. The subways run 24 hours but if you are alone, in the early hours you may prefer to take a cab. Kalyra did her research and says you should never touch the handrails on a New York subway as it’s like shaking hands with 10,000 people. Pack your sanitizer. The train conductors are super helpful. Ask them if you’re not sure where your train is going. One of the most thrilling experiences of my life was driving in New York City. I nearly got hit twice in the space of five minutes coming out of the tunnel from New Jersey. Cars were swerving everywhere, bikes were coming form every direction and people just walk out whoever they like. It was intense and scary. I don’t recommend driving in New York. You don’t need to. But, if you have to, then be prepared for expensive parking. Traffic in New York is a nightmare. Enough said. Hailing that yellow cab New York style sounds fun, but the excitement dies off very quickly when you realized you could have walked there and back already at a price of $0. The best times to take a cab are early in the morning or late at night. We unfortunately had to do the valet parking at double the price. Also check out shared transport shuttle services. You prepay for your spot in a van that shuttles you to the door of your hotel (Manhattan only). It may involve some wait time but at prices starting at $19 it might be worth it. See more here. The Sightseeing Pass includes a free shuttle trip to the airport from your hotel, which I think is an incredible inclusion and another reason why they are such a great deal for saving money when visiting New York. New York accommodation will be expensive. There is no getting away from it. Midtown – the tourist area – will be the most expensive. We stayed in a Hilton Hampton Inn right near Times Square for one night (using points) for $198. 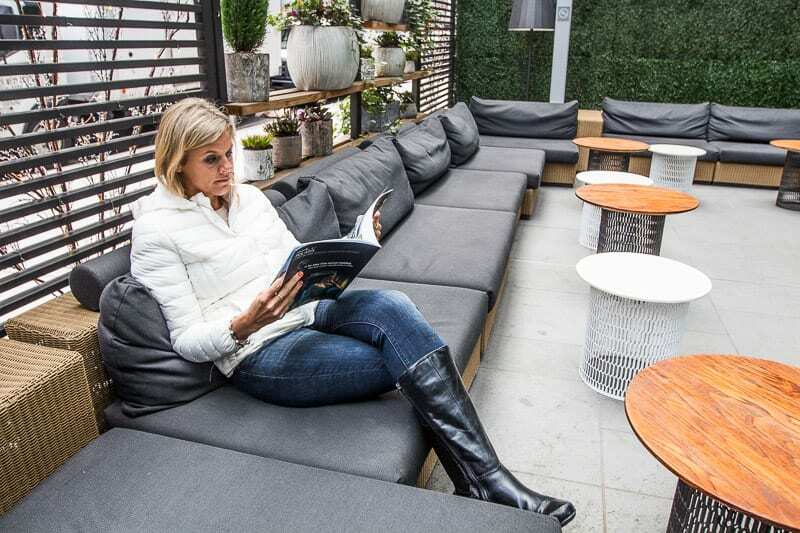 It was smaller, dark and dingy and no where near as nice as our hotel in Chelsea at the INNSIDE New York Nomad. We returned to stay at the INNSIDE last month for a business conference. 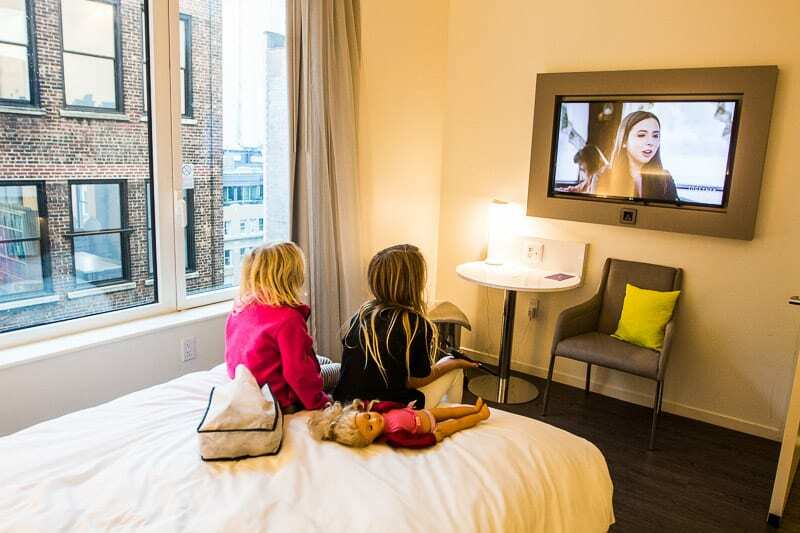 It’s perfect for business travelers and families and we recommended it to everyone visiting New York. The rooms (at the time of visiting) was $167 a night. It’s an exceptional hotel as well. Read more reviews on Booking.com here. Book your hotel as far in advance as you can and look for special deals. You can easily stay in the boroughs of New York as the transport system makes it easy for you to get in and out of Manhattan. It just depends on how close you want to be to the action. Stay near the subway station. This can be a problem in some of the borough areas. The INNSIDE was right near to major subway stations which meant we could get anywhere we wanted quickly. It was also centrally located for walking to a lot of cool areas namely Chelsea, the High Line and the Flat Iron. we could also walk to Times Square in 15 minutes. check that off your list then run! Consider Airbnb, although it will be more expensive than you are used to, it still may save you money. 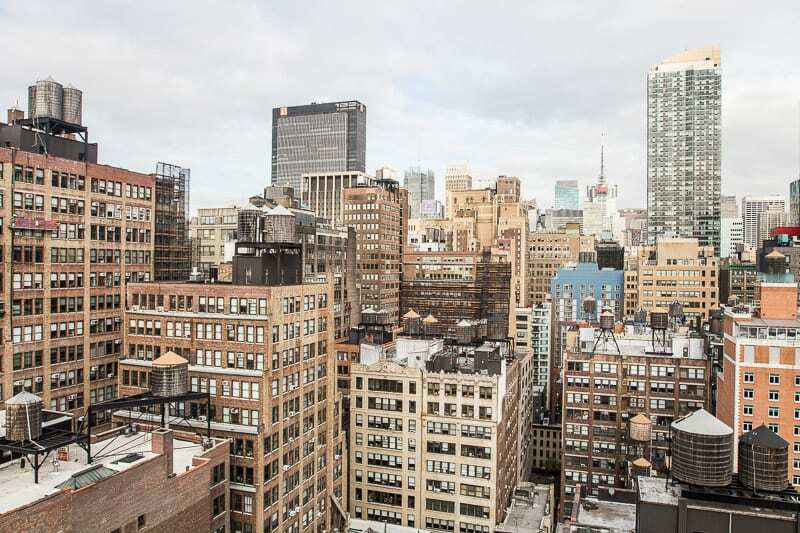 Click here for Airbnb rentals in New York. You can’t go to New York without attending a show on Broadway –it’s New York baby! 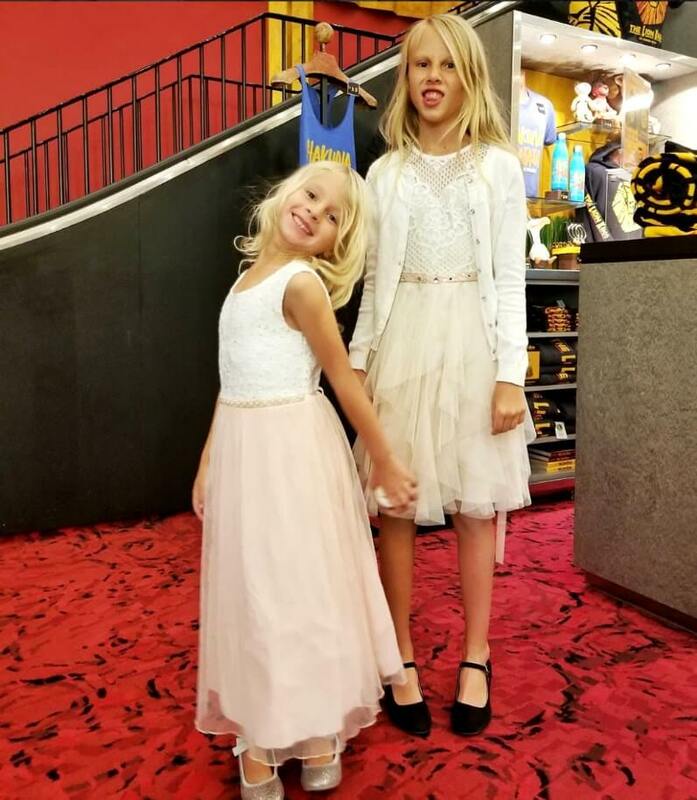 I took the girls on a date to see the Lion King and it’s a memory that will be with them forever. They are asking if we can see it again with their Nan and Pop, but we might try a different show instead. We completely messed up with getting our Broadway tickets and I almost paid for my tickets twice. Well, I actually did, but I got a refund. That was an almost $500 mistake! Ouch. To save money, Craig opted to go to the Top of the Rock instead of coming to the show as he wasn’t that excited for it and why pay that money if you aren’t. If you are traveling s a family or with a group and have the same situation, it’s okay for one of you to opt out and save money. After researching online (such a minefield) for the best ticket prices for Lion King, I discovered Entertainment Link. I was just looking at the cheaper Broadway price and not focused on how they got you the tickets. You had to join a membership program which cost $30 a month, but you could cancel. Even with the $30 I was still getting the cheaper price for the night I wanted and the seats I chose. So this site is like a concierge service. You submit your order and then they go ahead and try to get you those tickets. I thought when I put in the order I actually purchased the tickets. I got an email from them to say they couldn’t get the seats I wanted, but could get the following—giving me times and dates. It was then that I realized what the service was and regretted joining as I could have purchased tickets for a slightly more price, but at least I would have had them without the hassle. I wasn’t paying attention to the dates on the email – in fact it was hard to see, and if you understand how your brain works it’s no wonder I didn’t notice a different date nestled between the name and show times. I saw the name Wednesday and the same time, just different seats, so I told them to go ahead and book them. We arrive for the show and went to pick up the tickets. The gentlemen tells me there are no tickets for us. We then discover that our tickets are for the following Wednesday!!! We were all devastated. It was the girls first visit to the theater. They bought new fancy dresses and shoes for the occasion and they were on a date with their mamma. The gentleman said they had space for tonight’s show and could sell me tickets. He was pretty sure I could resell my ones for the following week. He saw my distress, and because they hadn’t sold those seats yet, he gave me a discount. So I ended up paying less for the seats then I originally did through this “discount service”. I took a gamble and bought them praying I could refund the tickets and asking the girls to have the best night ever to make the possible $1,000 evening worth it. We needed up with incredible seats. When I phoned the company the next day and explained what happened they would not refund the tickets as it was their policy. She told me a couple of things I could do so I rang Ticketmaster to find out. Thankfully, the wonderful man worked out that we could refund or on sell the tickets for the following week, but because I had bought and attended the concert the evening before he couldn’t refund those tickets. I think it was because I couldn’t make the show the following week but got their earlier. It was super strange, but I was super happy. The refund came through in two days. The Sightseeing Pass now comes with a $40 attraction credit which can be used towards certain broadway shows!! Get yours here. Perhaps, you could go straight to the box office and see if they have unsold seats just before the performance and get a discounted rate like happened to me. If there is a particular Broadway show you have you’re heart set on and do not want to miss in the quest to find cheap last minute tickets, then buy your tickets as far in advance as possible. If it’s a bucket list item you’ll be okay with spending a little more. If your show’s sold out, check out the online ticket brokers such as www.stubhub.com or www.razorgator.com, where people sell extra seats or re-sell ones they won’t be using. Don’t forget to travel with insurance, which may protect you from incidences like this. Check out our preferred partners, Allianz Travel. For our Aussie readers, you can click here and use this code YTRAVEL (online or on the phone) for up to a 10% discount. You can find food for any budget and taste in New York. From hot dog and bagel stands to chains, pubs and fine dining. I recommend bypassing the chains, or if you must, Hard Rock Café on Times square is the only one we go into. The food is good and decently priced for the location and I love seeing all the rock paraphernalia. But food and drink in New York is so much better than that. Explore the different neighborhoods and local flavors. 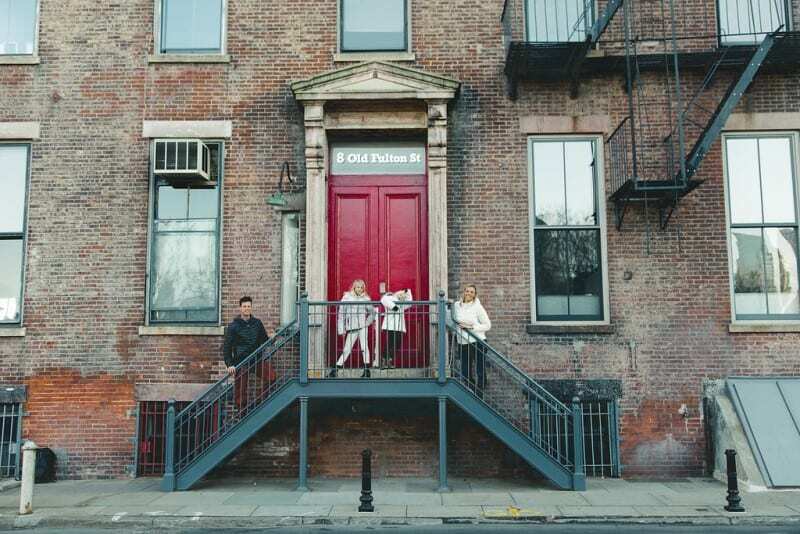 Check out the West Village, NoHo, Tribeca, or East Village. Astoria, in Queens is meant to have an eclectic food scene and Williamsburg in Brooklyn a fun and artsy café scene. 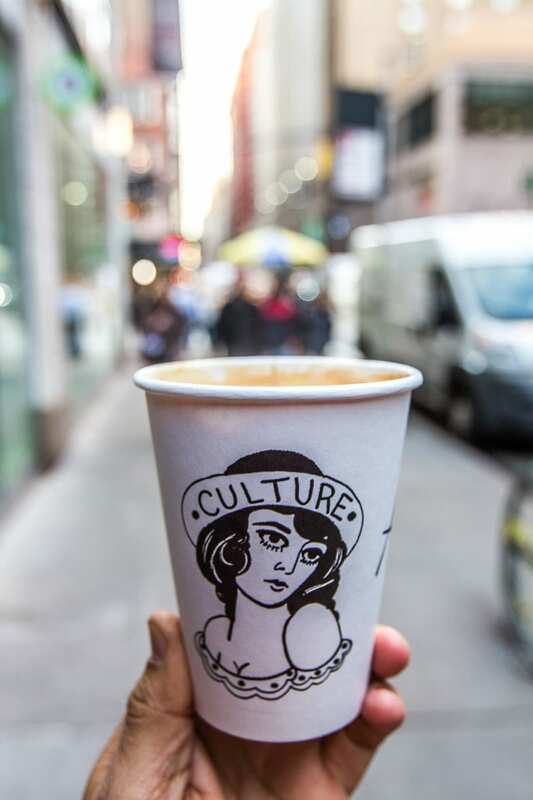 The coffee scene has improved and is flourishing in New York,. I like to think it because of the Aussie influence. You’ll be surprised at how many Aussie cafes there are in New York, all started because of the frustration with not being able to find a decent coffee. Bluestone Lane is where you want to go for your flat white and vegemite toast fix. They have them all over the city now. Look for happy hours, early birds and special deals. The sightseeing pass can get you discounts at some places t eat although they will be more chain style restaurants. Juices, smoothies and healthy grain bowls can be found on almost every street corner now. The bowls generally go for less than $10 and are delicious. We had delicious healthy smoothies from Juice Up The food court at Penn Station was really good – great gluten free grain bowls there, and although we did not eat at Chelsea markets, it comes highly recommended. There is an Aussie meat pie place in there. Shake Shack is also famous for burgers and shakes, the original being in Madison Square near the Flatiron building. It’s usually busy, but the food is pretty good considering its fast food and the prices very reasonable. When eating out at any restaurants you may want to make reservations and check ahead to see if they are family friendly. They will be in the main tourist areas, but in some neighborhood areas, like Chelsea, children may not be welcome of an evening. You’ll find cheap eats at small stores and diners through the city. Check for A rating restaurants. You know they’ll be hygienic. They should have the ratings on the inside of the windows. The Food carts are very popular with nearby workers and a great for a quick cheap breakfast. Craig and I would pick up a bagel and a coffee every morning when we visited in 2004 – when we could eat gluten and didn’t care much for coffee. Now its a no go although the girls had bagels and loved to get the hot dogs. They are everywhere so are handy when you have starving children. The bagels are less than $2 in most places and hot dogs for less than $3 Be careful around Times Square we paid triple for a hot dog to what we paid in Central Park. New York is also famous for cupcakes. Magnolia being the most well known. 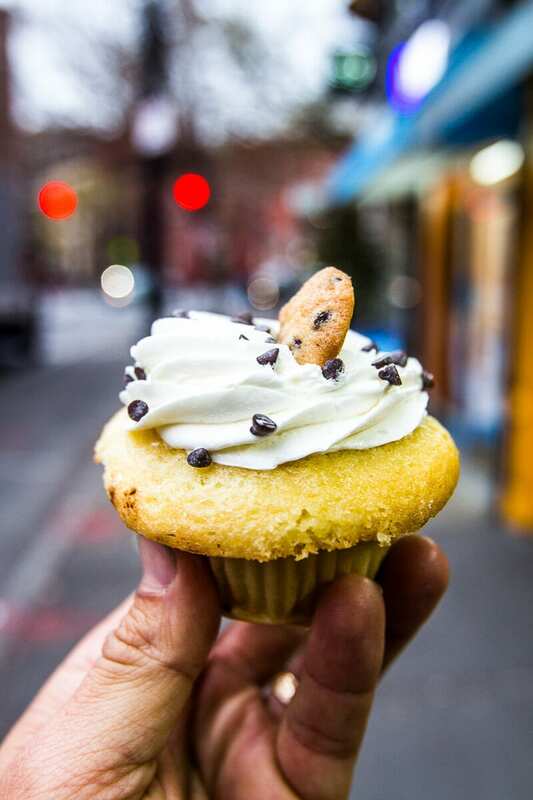 We decided to skip those queues and head to the West Village for Molly’s cupcakes. They were delicious and so worth it – plus they had gluten free. What a treat for us. Many cheaper New York restaurants that mostly cater to locals are cash only. I’m not a shopper, but I did like doing a bit of shopping in New York. We arrived just after thanksgiving so still had some incredible sales. Macy’s at Herald Square can have some killer deals. 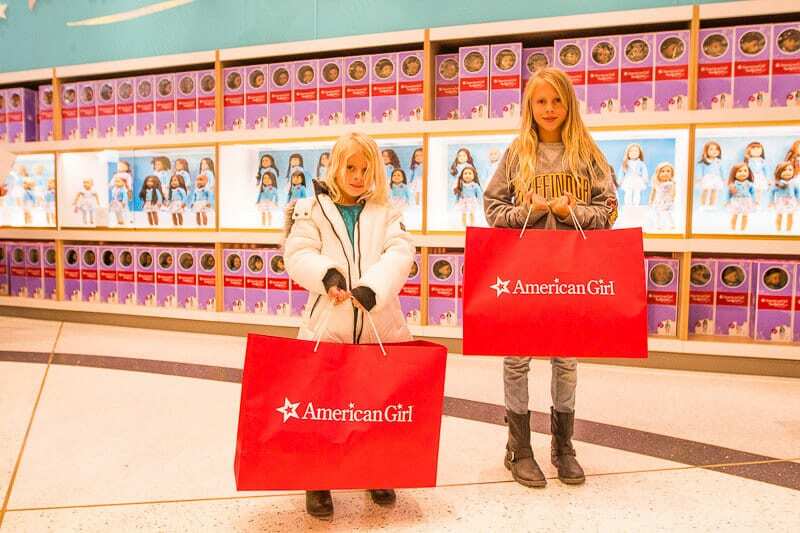 We save over $200 on a couple of jackets and dresses for the girls. Check your Amex offers as we got some extra membership reward points and cash back from our Macy’s spend. Also find out what coupons they are using online as you can mention them to the cashier and they’ll apply it to your spend. Ask the cashier what coupons they have, they’re pretty awesome there and will help you save money. Do your research for good shopping in New Jersey as they have no sales tax so you may save a lot of money, particularly on those big ticket items. It’s just a short subway ride away. I was surprised at the friendliness and kindness of New Yorkers. I wasn’t expecting it. Sure they are in a hurry a lot of the time and focused on surviving a busy work day, but if you have the chance to interact you’ll discover great people. I was shocked by how many people got up to offer me and the girls their seats on the subway. Sadly, it was 90% women only who did this. Just understand New Yorkers are busy people in a hectic city on missions to be places. Respect their time and space. Don’t dawdle or block the sidewalk or subway entrances and if you need help get straight to the point. No extra details or stories needed. The police presence in New York was mind blowing. I didn’t know whether to feel safe or afraid. I wanted to walk up to the crowds of police officers walking around with their heavy guns and ask them if they knew something I didn’t. It was quite shocking to see the difference to when we visited in 2004. I don’t remember seeing anything like that. Despite that, and being slightly nervous due to the current state of the world we live in, I didn’t have any safety issues or concerns in New York. You won’t have any problems walking around during the day time. Possibly not at night either as its so busy everywhere. But, if you are nervous after about 11pm when it gets quieter take a cab. I do find New York to be a safe city. One World Observatory (skip the line ticket) – Journey to the top of the tallest building in the Western Hemisphere. Pre-book tickets and skip the ticket line. 9/11 Memorial & Museum Admission (skip the line tickets) – Pre-book tickets for convenient skip the ticket line privileges. 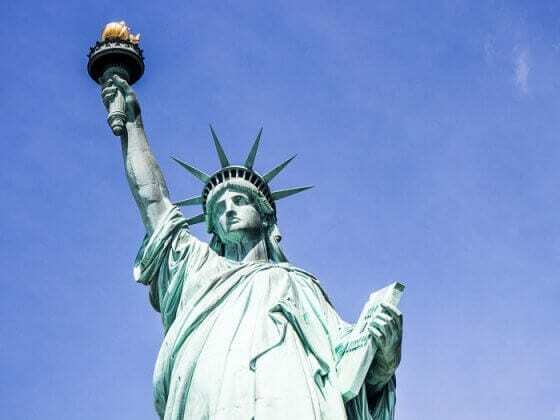 Statue of Liberty (skip the line ticket with optional pedestal) – Get priority access to the Statue of Liberty & Ellis Island Ferry. Includes free multilingual audio guides and GetYourGuide concierge service for a hassle-free experience. 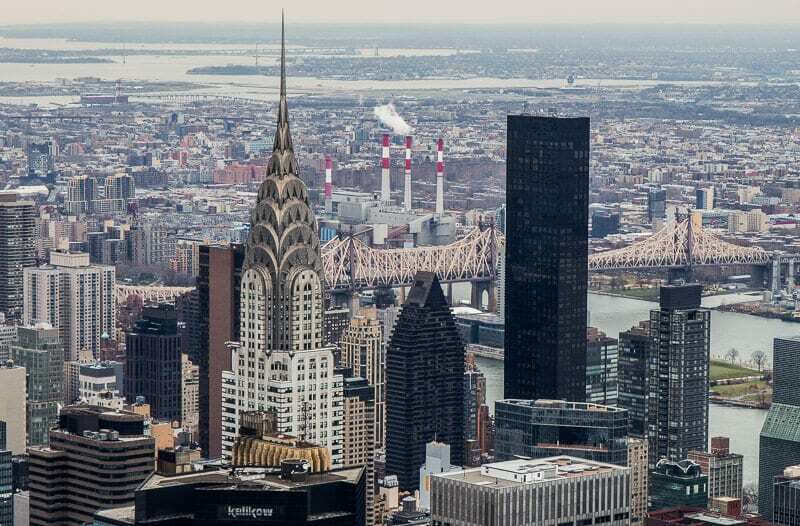 Empire State Building (skip the line ticket) – Buy this ticket and skip the line to ascend to the 86th floor for incredible panoramic views over New York! Top of the Rock Observation Deck (flexible date ticket) – Flexible date ticket allows you to plan your visit around the weather and take in 360-degree panoramic views of the Big Apple. Museum of Modern Art (MoMA) skip the line ticket – Enjoy skip-the-line access to some of the world’s best art. 5 hour Sightseeing tour of NYC – Short on time? Make the most of your stay with this comprehensive 5 hr tour exploring the main attractions with comfortable bus transportation and guide! THE RIDE – a unique tour that is part theatrical show and immersive tour. 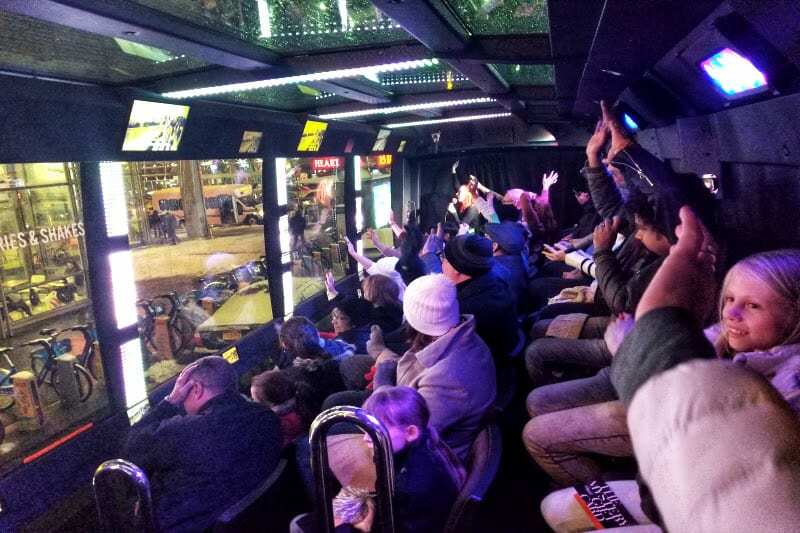 See classic New York City sights from the comfort of a technologically-advanced moving theater motor coach. 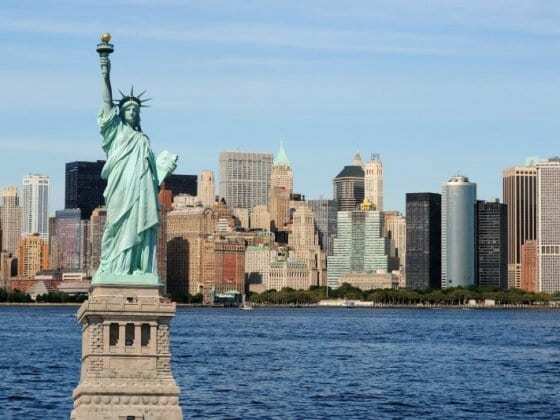 Best of New York Circle Line Cruise – 2.5 hour narrated cruise, and the only sightseeing cruise to circumnavigate the island of Manhattan to see the 7 major bridges, 5 boroughs and 101 unforgettable New York sights. Helicopter Tour – Enjoy stunning views of Manhattan Island on a deluxe sightseeing helicopter flight offering 180 degree views from the sky. Harlem Gospel Tour – 4-hour tour of a historic Harlem to experience the thrills of gospel singing, Columbia University and the Apollo Theater before joining a gospel choir for Mass. 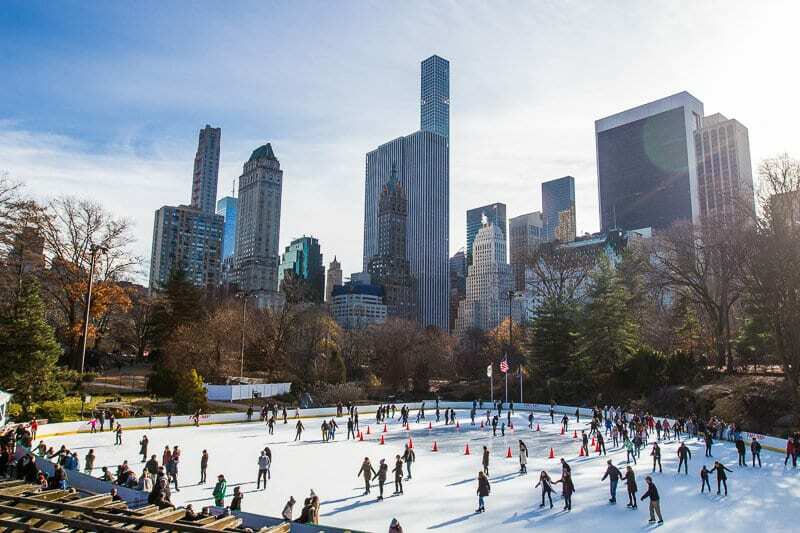 See all tours and activities in NYC here. Booking.com has over 1,000 properties in NYC. You get free cancellation on most rooms and a best price guarantee. And check out our post on the 5 best properties from budget to luxury. These are great tips! 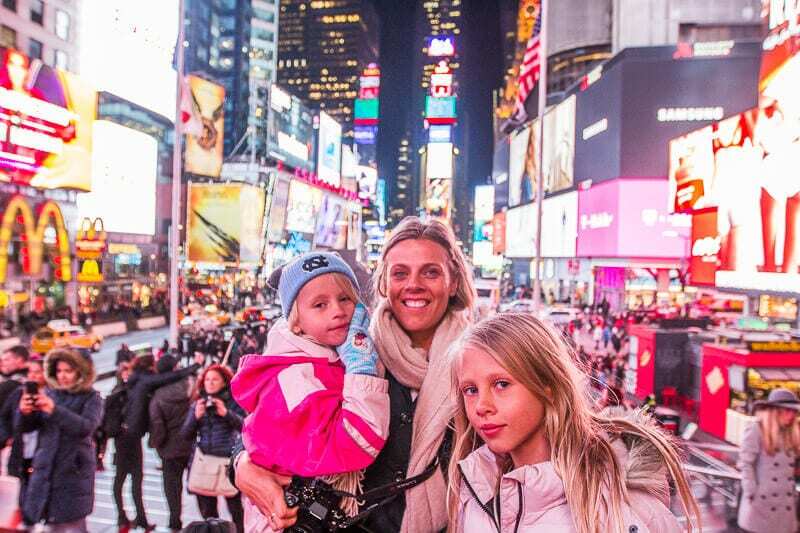 We visited NYC for 3 days in October-17 with our two school aged kids. It is an expensive city but by planning our activities, purchasing a discount sightseeing pass and walking as much as possible we fit a lot in to a small amount of time. We also went to see a broadway show and a concert at Madison Square Garden – while these were expensive outings, the tickets were significantly cheaper than what they would cost to see in Australia.